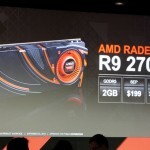 So, the AMD Radeon R9-290X is not the only one in the family. 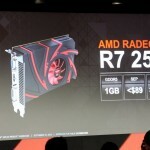 AMD have revealed other family members of AMD Radeon R-200 series at their GPU’14 Tech Day showcase which consisted of Radeon R9 series for enthusiasts market and the Radeon R7 series for mainstream gamers out there. 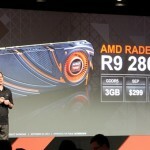 Radeon R7 250: 1GB GDDR5, Under RM 287 (USD 89), More than 2000 points in 3DMark Firestrike test. 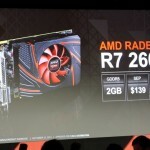 Radeon R7 260X: 2GB GDDR5, RM 449 (USD 139), More than 3700 points in 3DMark Firestrike test. 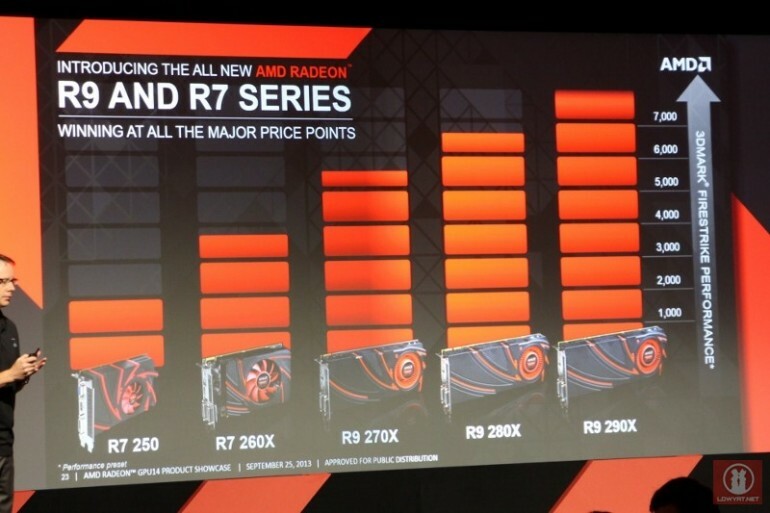 Radeon R9 270X: 2GB GDDR5, RM 642 (USD 199), More than 5500 points in 3DMark Firestrike test. 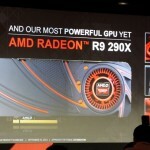 Radeon R9 280X: 3GB GDDR5, RM 964 (USD 299 ), More than 6800 points in 3DMark Firestrike test. 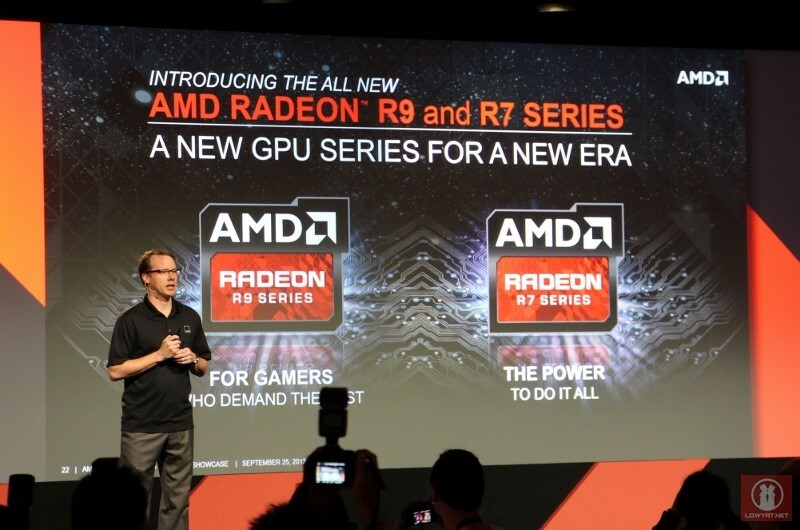 Since AMD’s John Taylor have mentioned that the GPU14 Tech Day is a preview of things to come rather than an actual launch event, we assumed that all these new AMD Radeon R7 and R9 series graphic cards will only be hitting the markets in weeks or months to come. We’ll keep you updated as more information are made available to us.